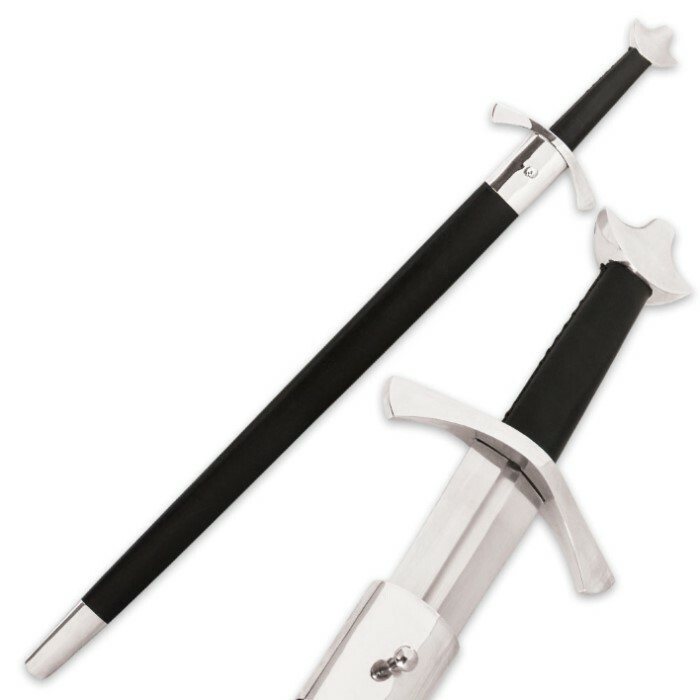 The Battle Ready Knight Sword is a battle-ready sword that has been oil tempered to a beautiful perfection. It is a replica sword perfect for any collection. The 33 in. 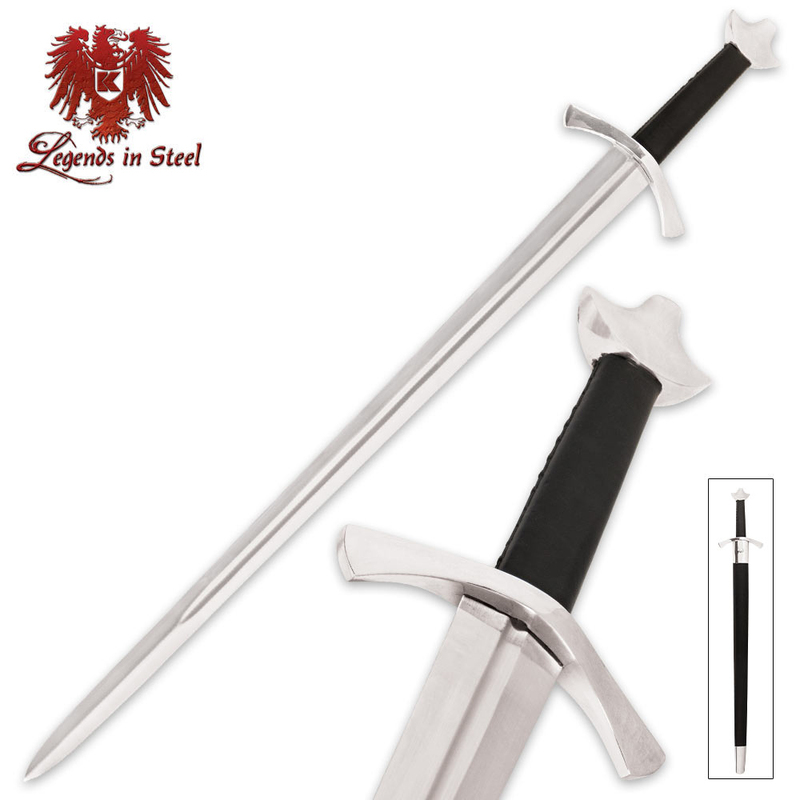 blade is of high carbon steel and the guard and pommel are chrome-plated. The handle is covered in genuine leather for a secure grip. A wooden and leather scabbard with chrome-plated accents completes the package. The sword is 42 in. overall length. Love the quality, fine steel, tight fitting coordinating scabbard, heavy. But more smash ready than battle ready, came duller than a butter knife but that’s okay as it makes it great for practice. Still would have rather had sharpened for being $150, but a great sword nonetheless. I got this for my birthday. I am a huge sword collector. And I must say, the sword is well constructed. Great temper on it, good steel, amazing fuller, great edge, and a perfect scabbard. For $150, this is the best sword you'll get for this price. The only thing I dislike about this sword is it's one-handed only. If you're a craftsman, you can easily customize the scabbard and blade. 10/10. Very impressed with this sword. Heavy and straight. Well-oiled blade, wrapped in plastic. My only gripe is it fits really tight in the sheath, so no smooth withdraw. That might loosen up over time.